Rice is a staple in my home. It’s cheap, versatile, filling and delicious. Rice can be a side dish, a filler, a main course, a dessert – the possibilities are endless. The art of rice is learning how to cook it properly. There are different techniques for the taste and texture you are trying to achieve. 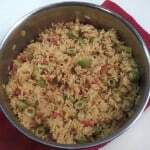 Most of my rice recipes are prepared the same way – brown rice in a bit of olive oil, add liquids, seasonings and meats, bring to a boil, cover with a tight fitting lid, reduce heat to low and simmer for about 25 minutes. Once that lid goes on, do not remove it until the cooking time is up – usually around 25 minutes. When rice is done, remove pot from heat, take off lid and fluff rice with a fork. At this point, depending on what kind of rice you’re making, it should sit covered for another 10 – 20 minutes. Fluff it again and serve. So those are the basics. This rice follows those basics to a tee. 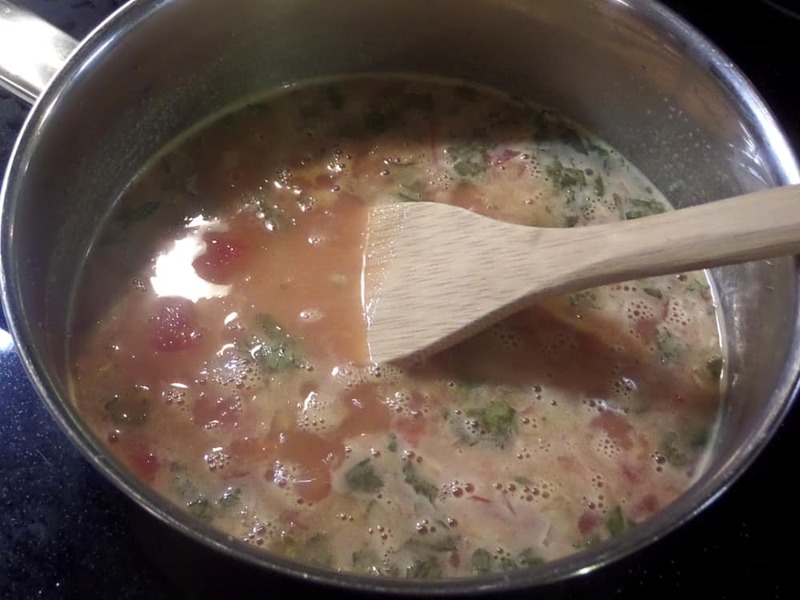 I add a heaping cup of fresh, chunky salsa with a bit of heat and a bunch of cilantro. So simple – yet it adds an amazing pop of flavor. You can use whatever type of salsa you like, mild, medium, hot, fresh or even jarred if you have to. After the rice is done cooking for 25 minutes, remove from heat. 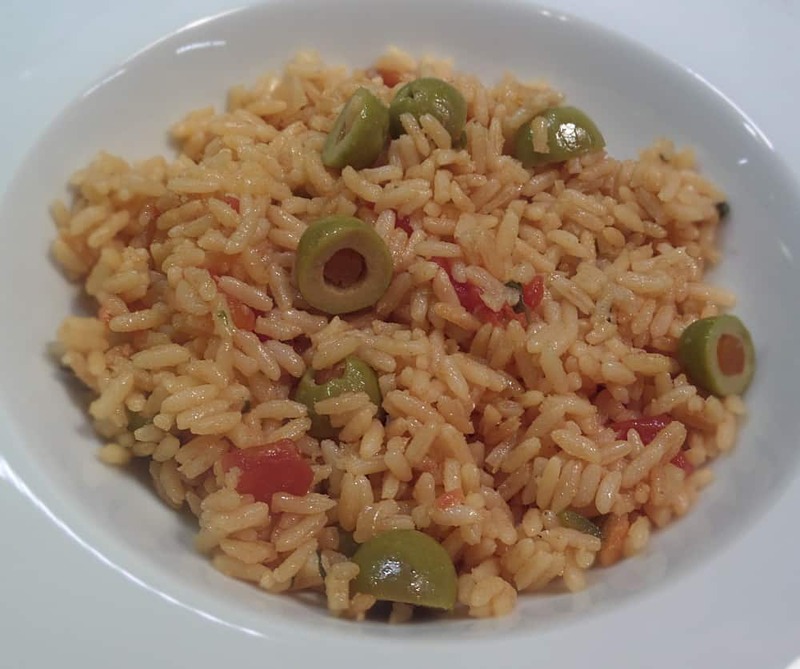 I mix in about a handful of halved green olives, fluff the rice with a fork and let sit covered, off heat, for another 15 minutes. After 15 minutes all that excess moisture is magically gone and the rice is now the perfect texture. Fluff again and serve. Top with some more chopped cilantro and a few shakes of chipotle hot sauce if you’d like. This is a great, easy way to dress up plain old white rice. Just one of my many ways to make a great seasoned rice without being a salt bomb from a box. Let this be your inspiration to start experimenting with new ways to mix up white rice! I hope you love this rice as much as we do – thanks for reading! A delicious and easy recipe for seasoned orange rice. Liven up that plain white rice! In a medium saucepan heat olive oil over medium heat. Add rice and brown. Stir often - do not let it burn - this will take a few minutes. Add water, salsa, bouillon, garlic, salt, cumin, salt and cilantro. Stir well and bring to a boil. Let boil for a minute or two, put a tight fitting lid on pot and reduce heat to low. Without removing lid - cook on low heat for 25 minutes. 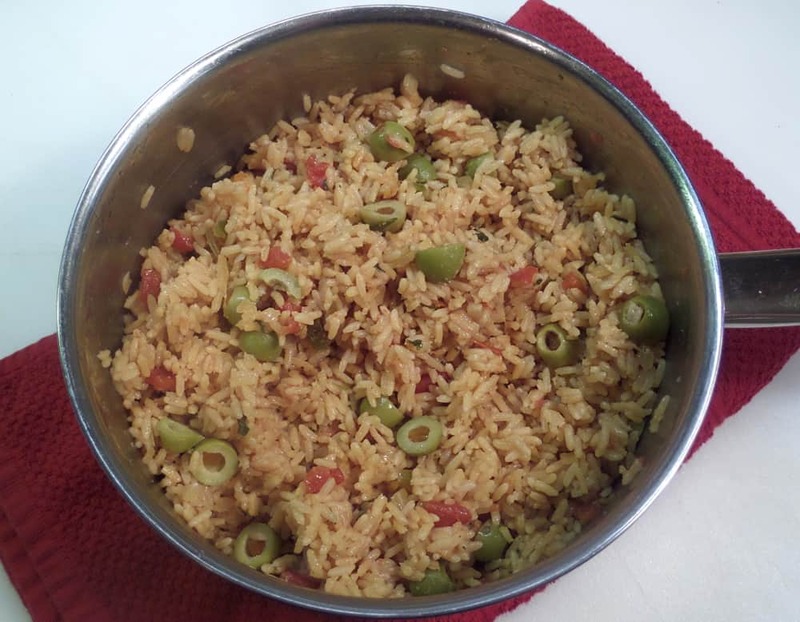 After 25 minutes - remove pot from heat, remove lid, fluff rice with a fork and toss in olives. Recover and let rice sit, off of heat, for another 10 - 15 minutes before serving.